to the Red Robin website to request a free Heinz Tomato Seed Packet. 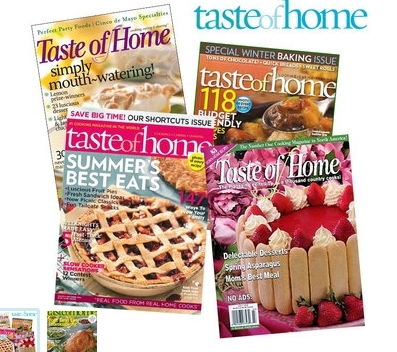 Taste of Home magazine is on sale again for $3.99 for 1 year. That is .33 an issue and you can buy up to 3 years. Just head over to Tanga and use promo code: TASTE at checkout. 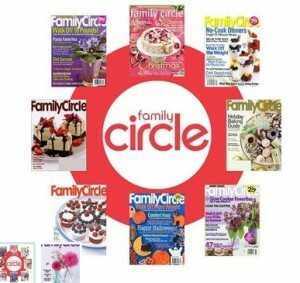 Family Circle is also on sale right now for $3.99 for 1 year. That is 15 issues so .26 an issue and you can order up to 4 years. Just head over to Tanga and use promo code: CIRCLE at checkout. Are you Facebook savvy? 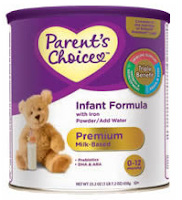 You can score a free bottle of cough medicine for kids here. Starting Sunday, 3/6 there is a hot deal with GM Cereal Deal at Giant. Buy 4, Get $6.00 off instantly + Get $4.50 off a Gallon Of Milk on your next order. Don't forget to print your coupons from coupons.com! Find four Free game downloads here. I went to Giant to test out the frozen food promo. (Giant Frozen Food Promotion, Save $25. off a future purchase when you spend $100.00.) I used two free product coupons and got 12 Points towards the frozen club. Since I didn’t pay anything for them and they were the only two items I purchased, I am positive they added to the frozen promo before coupons. Many of you couldn’t find the promo information, it is on the bottom of you receipt as shown above. However, we may want to hold off — because it looks like there is a possible double dip coming. Someone got over zealous and hung a sign for 3/13 – Get $10 OYNO when you spend $25. Hmm are you thinking what I am thinking? LOOKS LIKE FREE or almost free FOOD IS COMING, BEN! If you would like a free California Tortilla Burrito Coupon, hurry on over to Facebook and like them. When they reach 25,000 Likes, they will be issuing a coupon for a free burrito – it says if they get 25,000 but we know that means ”when” — things go really fast on Facebook. Although, I hope you don't need them! Two Tickets for Sesame Street Live "Elmo's Green Thumb" on Saturday March 12 or Sunday March 13 for $30! If you're looking for someone to tell you how to get, how to get to Sesame Street, let us help. With today's deal, pay just $30 for two tickets to see Sesame Street Live "Elmo's Green Thumb" at Temple's Liacouras Center at 5:30 p.m. on March 12 or 13 (regularly $60). Win your kids' adoration by taking them to see their favorite puppet heroes come to life in this Broadway-caliber production. Your little ones will be mesmerizied and educated by the story, which follows Elmo and his pals as they go on a search for a spot to plant Elmo's sunflower, Sunny, learning about patience, bravery, and the ecosystem along the way. Adults will be tickled by the clever script and catchy songs, too. 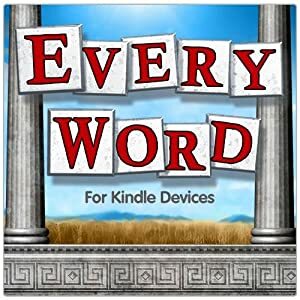 The letter of the day is D, for a 50% off deal-ightful show you won't want to miss. Head HERE for the deal and $5 credit if you are a new sign up! Great Clips just opened a new salon at the Snyder Square shopping center in Hatfield PA. It is a few shops down from the GIANT off of Cowpath Road. They are offering $2.99 haircuts for all this week and most likely next week. They may raise the price to $4.99 after that until they decide to go to their normal price menu. I found that the lines, and consequently the wait, went up dramatically after four o'clock. However, I was able to get the twins haircuts started within ten minutes of arriving at four. Either way, it was definately worth the savings. I upped my haircut to include a shampoo and blow dry for a total of $5.99! Three haircuts for $11.97! YAY! Don't forget to tip on the value of the services you choose. Tomorrow is National Pancake Day and IHOP FREE Small Stack of Pancakes to anyone who comes in from 7 a.m. – 10 p.m.! There is a of one free stack per guest. Valid at participating restaurants for dine-in only, while supplies last. Not valid with any other offer, discount or special coupon. They are collecting donations for the Children’s Miracle Network Hospitals and other designated local charities. 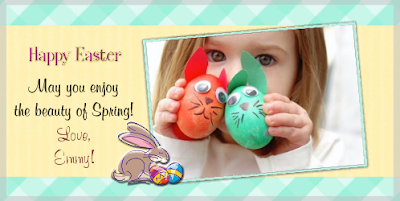 Easter will be here before you know it and SeeHere.com has a great Easter Card deal going on! Use code 25cards at checkout to get your entire order shipped for just $2.49! You must select exactly 24 cards to get this price. Recipe Lion has a great new e-Book offer! 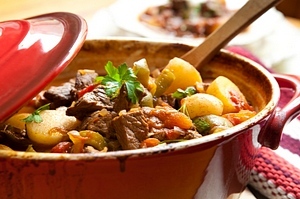 Download the Hearty Slow Cooker Recipe e-Book and get 33 easy recipes! You can browse the e-book, save the e-book to your computer for reference, or print the recipe book. If you're stuck in a dinner rut, check out the Cherry Pork Chops, Crock Pot Boston Brown Bread, BBQ Brisket with Noodles, Crock Pot Banana Bread and more! I was able to use the Kelloggs.com coupons and get some very cheap cereals! Taco Bell offers their Crunchwrap Supreme for $0.88 this week! GET A FREE* ONE NIGHT REDBOX RENTAL COMPLIMENTS OF CHEETOS® AND SIERRA MIST® BRANDS! Wish I had known this last Tuesday when Candace talked me into the Cheetos! Offer valid until 3/19/11. Offer valid at participating locations. Reserve your redbox rental online here! Here are some great deals at Rite Aid this week, and use the coupon offer in the post below to make it even better!!! =FREE! *Look for $1 peelie coupons on the box to make this a $1 Money Maker! = 2 for $0.99, $0.50 each! CLICK HERE and Enter your 16 digit Code (found after receipt total, often offering you a chance to enter to win a $10,000 prize) to get your printable $3 off $15 Rite Aid coupon. You can print 3 of these a month. You will need to take a short survey online first, then be ready to hit print. Amazon is offering a big box of Pampers Soft Care Scented Wipes, 720 Count for just $11.51 shipped when you choose "Subscribe & Save." This deal is advertised as an Amazon Mom deal, however you do not need to be in the Amazon Mom program to get this pricing! My FREE Amazon Mom membership ran out last month and I was still able to add this to my cart and $11.51 was the total. Shipping is FREE!